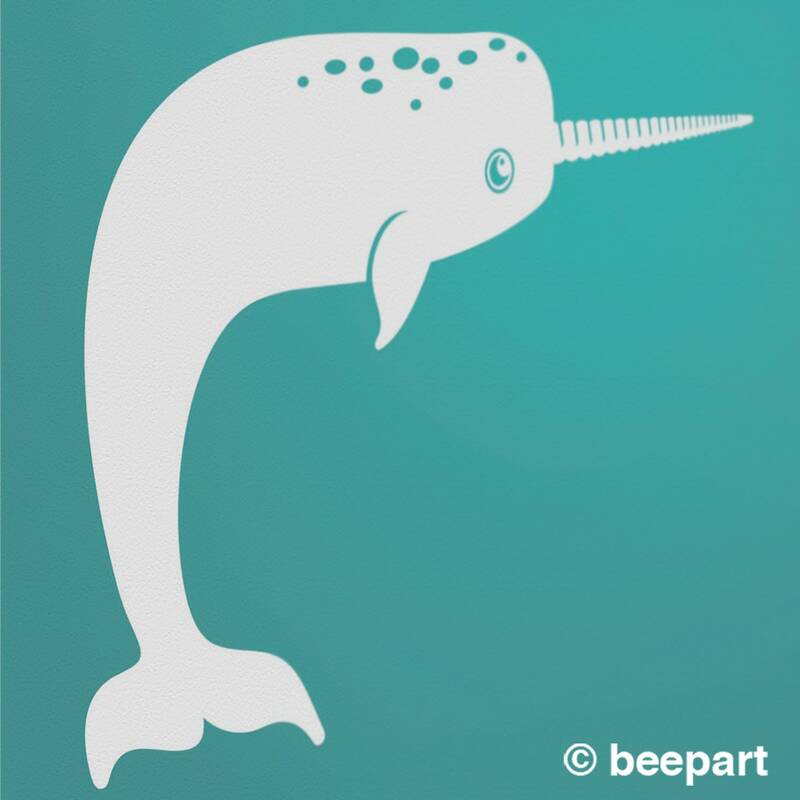 A narwhal for your wall! 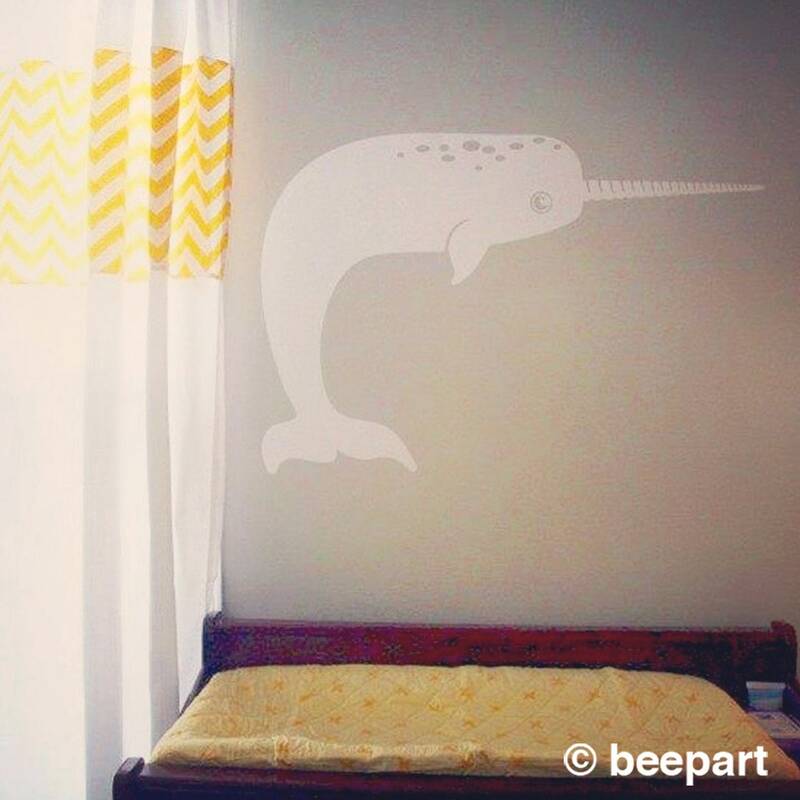 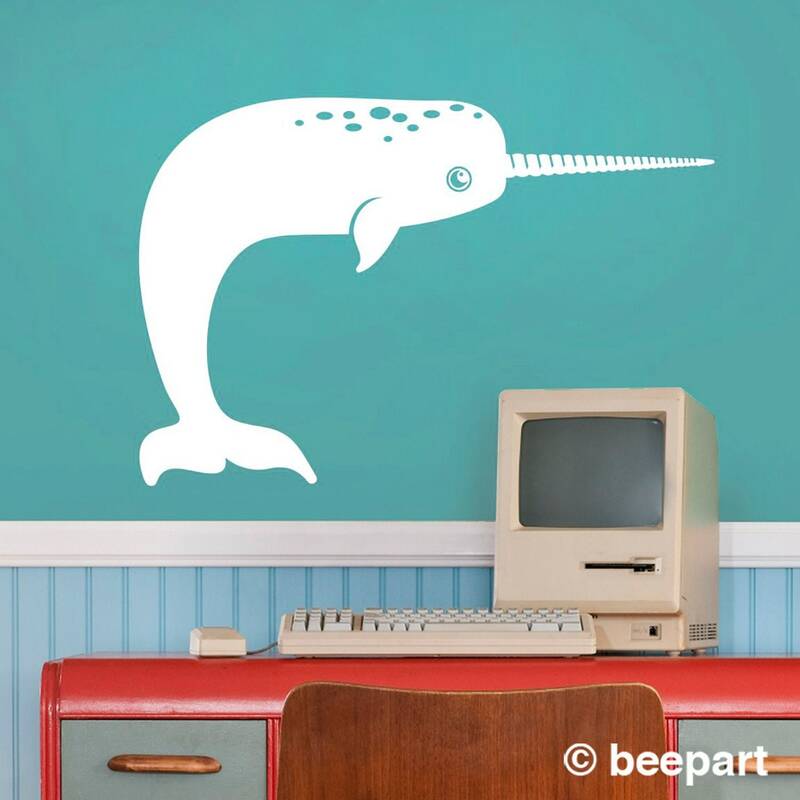 Our friendly narwhal wall decal, a cute gift idea for an aquatic animal lover of any age! 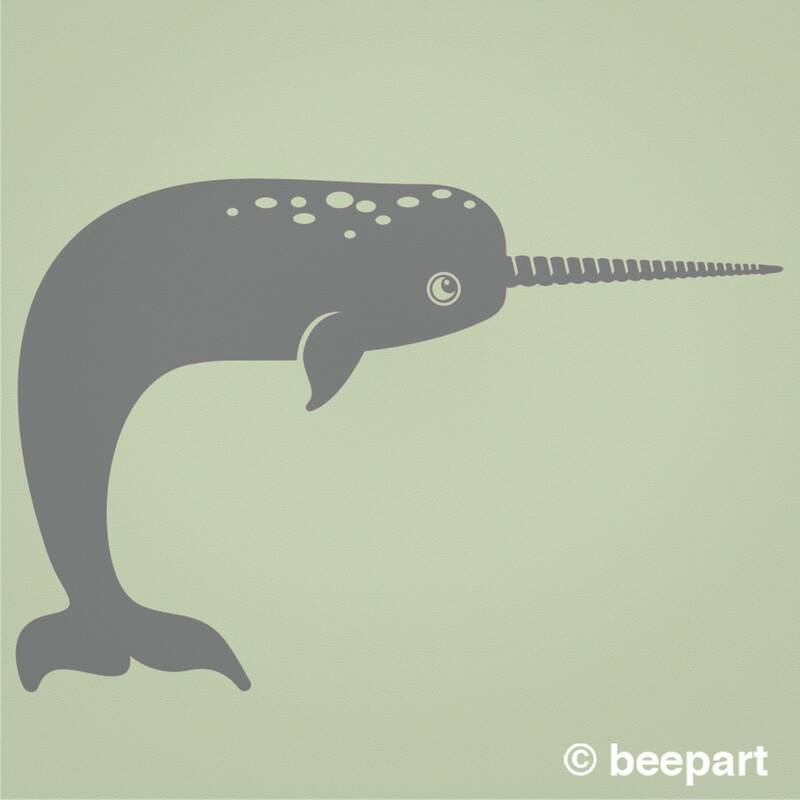 This listing is for a 1 color friendly narwhal vinyl wall decal. 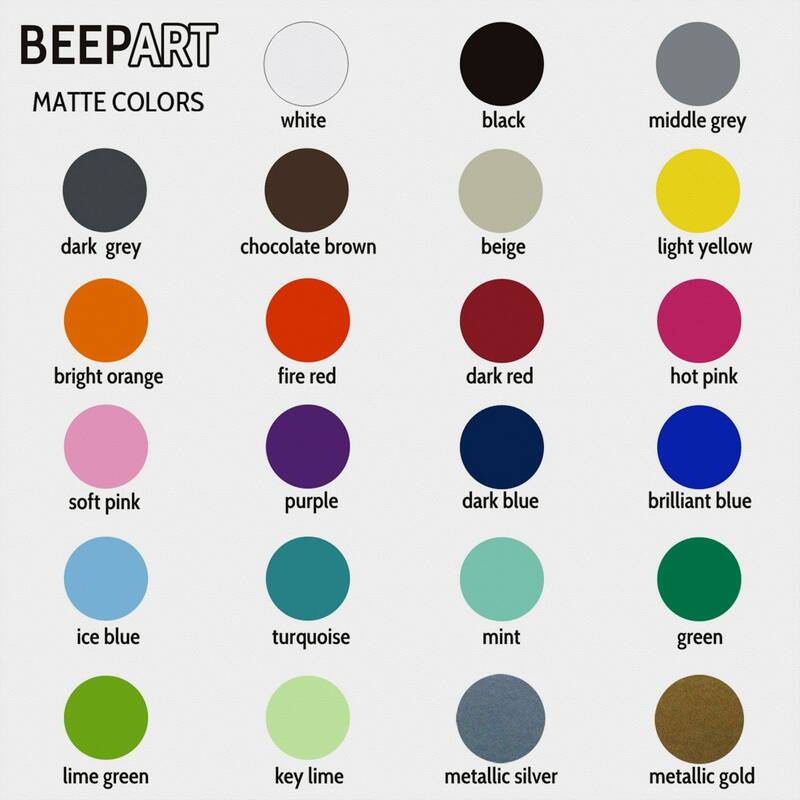 -Regular size measuresapprox. 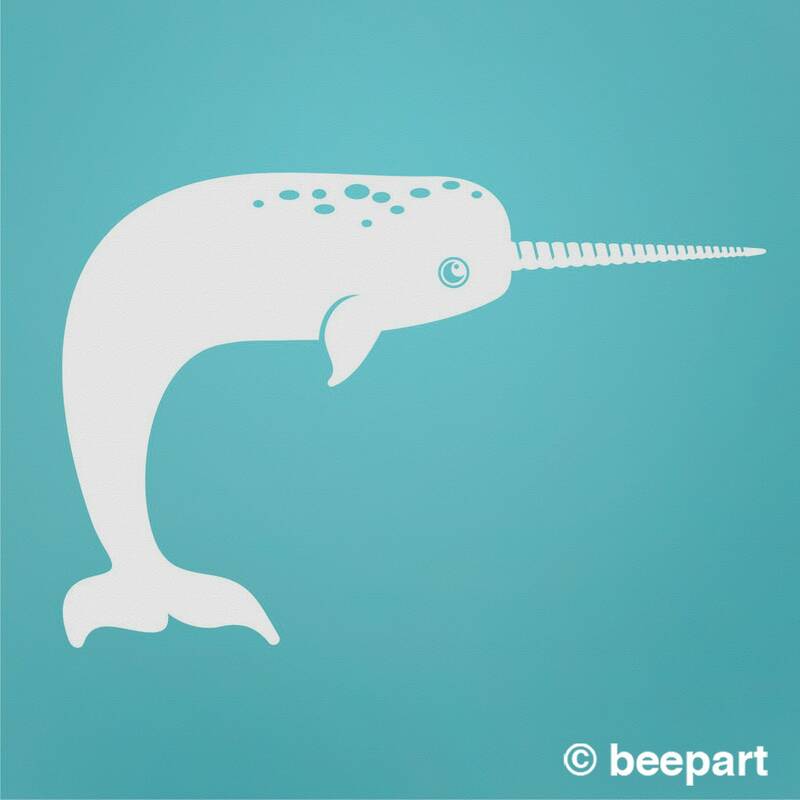 15.25" x 23".